If you are concerned about your Facebook privacy settings and you may be showing a little to much information to prying eyes. 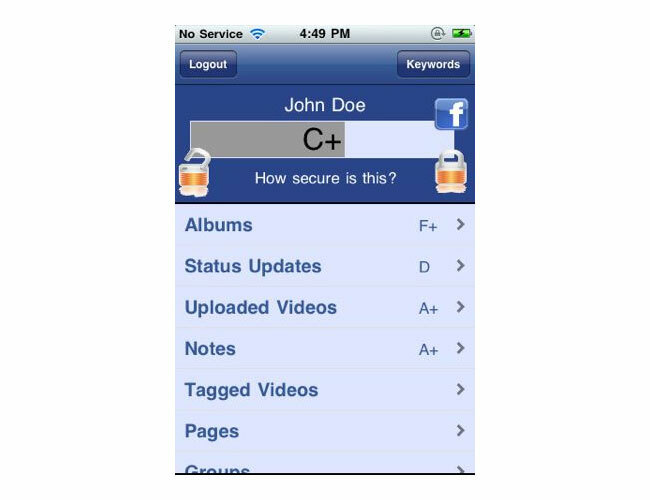 A new iPhone application SNAP has been launched that allows you to easily check the status of your account security. SNAP (Social Network Analyser for Privacy) iPhone app by BIT Systems looks at your Facebook profile and then creates a grade on how visible you are to the outside world. The SNAP application also features an in depth search of your Facebook profile for any keyword and will it tell you how many times the word is found. It will show you exactly where, when, and how it was posted.